Formoid is a free desktop app that helps you easily create jquery contact form, jquery form plugin, bootstrap forms, php email form and more in a few seconds without writing a single line of code. 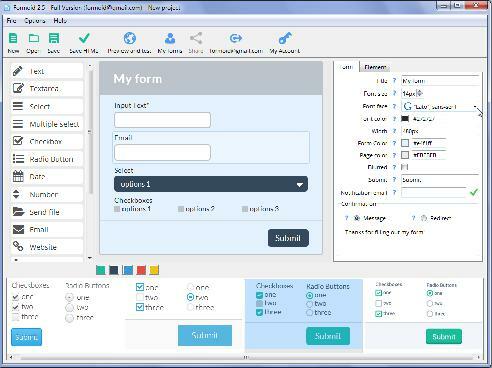 Create wonderful online forms in just a few clicks. Q: I paid for the full version of the formoid, uninstalled the one that I had and installed the business license. Now it won't even open. Control panel -> System -> Advanced system settings -> (Performance) Settings -> Data Execution Prevention. Turn off DEP or add Formoid in the exception list. I downloaded the new file for my Mac and it won't open. I get following error "Formoid can't be opened because it is from an unidentified developer". Any ideas? Hello, I have just installed a version of formoid for Windows. But as soon as I open the program, I get the message from Windows that Formoid doesn't work.